One of baseball’s best young players is outfielder Giancarlo Stanton who plays in relative obscurity for the Miami Marlins. But that anonymity is going to go away soon as he may become the first pro athlete to sign a contract worth $US300 million. The two sides have also discussed shorter deals according to the report. The largest single contract in sports history is the 10-year, $US275 million contract signed by Alex Rodriguez. 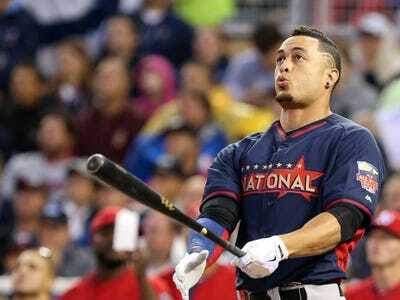 Miguel Cabrera recently signed a 8-year, $US248 million extension that coupled with the two years remaining on his previous contract is worth $US292 million. 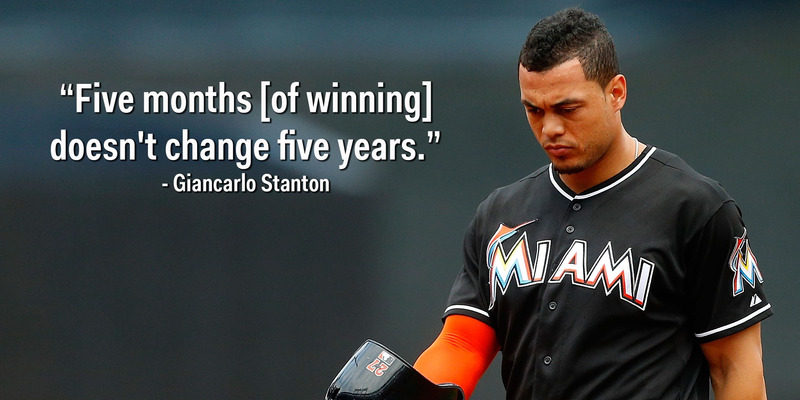 This led to speculation that Stanton could be traded this winter when his value would be highest. However, with attendance lagging in their brand new ballpark, Stanton is one player the Marlins can’t afford to let get away.